How behavioral pharmacies could address the four wellness factors that fundamentally underlie health and wellbeing: Exercise, Eat Better Reduce Stress, & Connect More. Fifteen years ago, the idea of a doctor recommending meditation to a patient was unheard of. 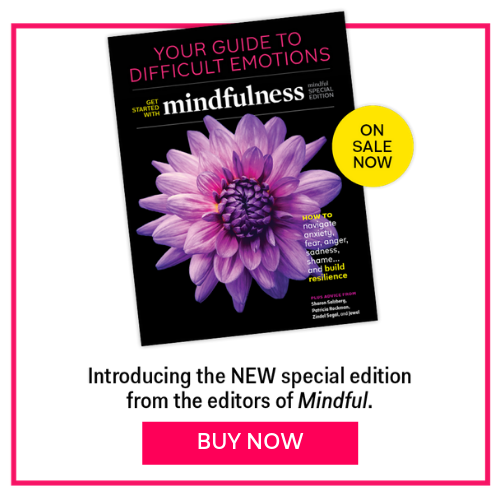 Now, – it’s not uncommon, and mindfulness is one of the fastest growing health trends in the U.S.; we have come a long way! However, even with the increase in mindfulness practice and mental health awareness, the diseases of despair (suicide, substance misuse, alcohol-related disease), and the many stress-mediated chronic diseases (heart disease, high blood pressure, depression) are on the rise, leading to a continued decline in U.S. life expectancy. Perhaps we’re still missing a piece of the puzzle? Then comes the part that I, personally, find depressing. After offering these “behavioral prescriptions,” well-intended providers often say something like “Good luck with that! I’ll see you in 6 months . . .” Can you imagine a doctor saying, “You’re going to need insulin. I’m sure you’ll figure out how to get that! Take care now!” …Of course not. When prescribing medication, a doctor says, “Your medication will be ready at the pharmacy around the corner, your insurance will cover it, and a helpful pharmacist will make sure you understand how to take it.” In sum, you not only get the prescription; you get the actual treatment! As a country, we have an incredible infrastructure for the delivery of medications: it’s the pharmacy. (How many pharmacies do you have in your neighborhood?) Pharmacies are integrated with clinical care and with insurance coverage, in every neighborhood, whether you’re rich or poor. But for the human behaviors that fundamentally underlie human health and wellbeing, we have no such system. Behavioral prescriptions like “Reduce your stress!” or “Eat better!” are essentially a prescription to nowhere. This is the model we’ve created at Open Source Wellness: After being prescribed participation by their doctor, individuals engage in all four of these basic practices during in-person gatherings, and are supported by peers and coaches to make and meet the goals their doctor laid out for them. Outcomes include significant improvements in depression, hypertension, isolation, fruit/vegetable intake, and physical activity. Most importantly, the model has illuminated that at its core, Community Is Medicine. The most potent, active ingredient in this work, by far, is the vitality, joy, hope, activation, and belonging which springs forth when participants are engaged in a healthy and thriving community. When human qualities of wellbeing (physical, mental, social, spiritual) are addressed (not just classic markers of health like weight and blood pressure), we find that community members seek out ways to be of service to one another. If we want to make a difference in our national mental health, and frankly with most chronic diseases, we need to be asking not only “Why the disease?” but also “Why the despair?” What are the conditions of our psyches, our families, our communities, our society that are producing despair, shame, and anxiety? And then we need to intervene by creating systems, structures, and community cultures that actively generate the opposites of despair: Hope. Connection. Play. Joy. Belonging. Inspiration. Vitality. Being of service to others. Meaning. Mutual care. We must work together to envision a world in which the fundamental behavioral and experiential drivers of human health and wellbeing are both easily and affordably accessible via clinical healthcare, and embedded into the daily systems and structures that guide our lives. Let’s create that world together! As a movement, Open Source Wellness is transforming healthcare by leveraging the power of community. Please take a moment to vote for them here (one-click, no registration needed) to win a 2019 Scattergood Innovation Award. Elizabeth Markle, Ph.D., is a licensed psychologist, professor, and chair of Community Mental Health at California Institute of Integral Studies. She is also Founder and Executive Director of Open Source Wellness, a clinical-community integration initiative offering experiential behavioral health and wellness via a "Behavioral Pharmacy" approach for individuals and families. She recently served as a project director with Well Being Trust, a new foundation focused on the mental, social, and spiritual health of the nation. Formerly, Elizabeth served as a postdoctoral fellow at the San Francisco VA. Dedicated to multi-theoretical and multi-level approaches to individual and community health and healing, her research and entrepreneurship are focused on systems design to generate social support, social capital, and social sustainability in health and healthcare. Benjamin Emmert-Aronson, Ph.D., is a psychologist, researcher, and advocate. He earned his MS in Statistics from Columbia University and his Ph.D. in Psychology from Boston University. After founding Statistics Simplified, a statistics consulting company working on varied projects from public health to cardiopulmonology to social work, he began his career of service at the VA, which left an indelible imprint upon him and a deep gratitude for our nation's Veterans. He continued his public service in co-founding Open Source Wellness, a non-profit that partners with low-income communities to make healthy lifestyle habits affordable, accessible and fun! Open Source Wellness utilizes person-centered design to build health and well-being events where participants actively engage in movement, mindfulness, plant-based meals, and health coaching, frequently free of charge. He is now equally likely to be found behind the microphone, analyzing data, or doing the Cupid Shuffle, all in the name of better health for our most vulnerable neighbors.